Imagine hosting your special event at a secluded location surrounded by a dramatic coastline, mystical forest and endless sea—and then pair that with an outstanding array of impeccable venues and spaces. 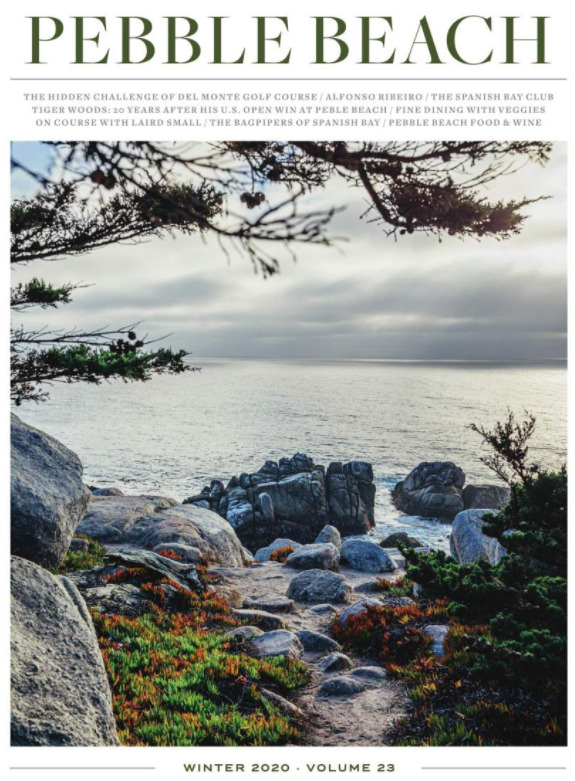 For over 95 distinguished years, Pebble Beach Resorts has been celebrated for its unparalleled facilities on California’s beautiful Monterey Bay Peninsula. From intimate boardrooms to large-scale ballrooms, luxury resorts to outdoor receptions overlooking the Pacific, our venues at Pebble Beach can accommodate any group. Compare our meeting facilities and select the ideal place for your next great gathering at Pebble Beach. Since 1919, The Lodge has been synonymous with luxurious accommodations and amenities. It features more than 10,000 square feet of meeting space including a fully appointed, state-of-the-art Conference Center. Meeting, audio-visual and catering services are unmatched and special amenities superb. Perfect for everything from business events to corporate retreats, Fairway One Meeting Facility allows for a complete group buyout. Its location along the 1st fairway of Pebble Beach Golf Links is ideal for exclusive group experiences—particularly in combination with the guest rooms and cottages of Fairway One. While conveniently located within Pebble Beach Resorts, The Inn is also somewhat tucked away, creating a sense of peaceful seclusion. It delivers the finest in contemporary style, modern facilities and natural beauty, with much of the 14,000 square feet of meeting space showcasing panoramic ocean views. Casa Palmero provides the perfect combination of exemplary, personal service, state-of-the-art meeting facilities and Old World charm. Our meeting facilities range from the well-appointed boardroom, conference room and library, to the more social billiard room, bar, lounge and secluded outdoor patios. Mere steps away from The Lodge at Pebble Beach, The Beach & Tennis Club features two meeting and event facilities: the warm and intimate Club Room and the awe-inspiring Beach Club Dining Room, which provides spectacular views of Stillwater Cove and the 17th fairway of Pebble Beach Golf Links. Located on the upper level of The Lodge at Pebble Beach, the Card Room offers an intimate setting for meetings or small receptions. The room features crystal chandeliers, fireplace and a sea-vista terrace with lovely views. Located on the Conference level of The Lodge at Pebble Beach, the Centre Room offers an intimate setting for small conferences. Located on the Conference level of The Lodge at Pebble Beach, the Committee Room features soffited ceilings and chandeliers, and is perfect for medium- to large-sized groups. Located on the Conference level of The Lodge at Pebble Beach, the Council Room features soffited ceilings hung with chandeliers and a foyer with comfortable couches. Located on the upper level of The Lodge at Pebble Beach, this room has down-to-earth charm and a huge marble fireplace. Located on the lower level of The Lodge at Pebble Beach, the Pacific Room provides a cozy setting for small group meetings and receptions with a view of the 18th green of Pebble Beach Golf Links. Located on the upper level of The Lodge at Pebble Beach, the Pebble Beach Room boasts a stately ambiance for large banquets and social functions. One side of the Pebble Beach Room opens onto a tiled outdoor terrace overlooking the 18th green of Pebble Beach Golf Links. Located on the lower level of The Lodge at Pebble Beach, the Stanton Room provides an ideal setting for private dinners, small group meetings or receptions. The intimate facility offers spectacular views of the 18th green of Pebble Beach Golf Links. Located on the lower level of The Lodge at Pebble Beach, the L-shaped Stevenson Room is perfect for productive meetings. Meeting and event facilities at The Beach & Tennis Club, include the warm and intimate Club Room. Featuring a spectacular fireplace, this venue can handle groups of up to 80. The signature setting, however, is the awe-inspiring Beach Club Dining Room, a sun-drenched glass conservatory with spectacular views of Stillwater Cove and the 17th fairway of Pebble Beach Golf Links. Perfect for receptions and gala dinners, The Beach Club Dining Room accommodates up to 300 for a reception and 200 for a dinner with dance floor. Located outside the Grand Ballroom on the Mezzanine Level of The Inn at Spanish Bay, the Ballroom Gallery offers an ideal space for an informal reception or a registration area. Located on the Mezzanine level of The Inn at Spanish Bay, the Boardroom offers a comfortable and intimate setting for small meetings and conferences. Located on the Fairway level of The Inn at Spanish Bay, the medium-sized Carnoustie Room can be split into two smaller meeting rooms. Located outside the St. Andrews Ballroom on the Mezzanine level of The Inn at Spanish Bay, the Fairway Patio overlooks The Links at Spanish Bay. With this stunning view, the patio is a perfect location for outdoor receptions or meeting breaks. Located on the Mezzanine level of The Inn at Spanish Bay, the spacious Grand Ballroom can be split into three distinct rooms, or used as one large room for meetings, receptions and dinners. Located on the Fairway level of The Inn at Spanish Bay, the medium-sized Muirfield Room can be split into two smaller meeting rooms. Located on the Mezzanine level of The Inn at Spanish Bay, the St. Andrews Ballroom is an ideal room for a keynote speech or a reception. Located on the Fairway level of The Inn at Spanish Bay, the Troon Room offers exceptional views of The Links at Spanish Bay and the Pacific Ocean beyond. Located on the Fairway level of The Inn at Spanish Bay, the Turnberry Room is ideal for small meetings and receptions. Located on the Mezzanine level of The Inn at Spanish Bay, the Tuscan Room features an exquisite view of Monterey Bay. The comfortable state-of-the-art Boardroom of Casa Palmero at Pebble Beach offers 882 square feet of meeting space filled with Old World charm. The well-appointed and elegant Conference Room of Casa Palmero at Pebble Beach presents 378 square feet of intimate meeting space. This state-of-the-art meeting facility provides the right ambiance for small-scale meetings and dinners. The Private Dining Room of Casa Palmero at Pebble Beach presents business and social groups the opportunity to savor gourmet cuisine in a private and cozy setting. Perfect for an executive meeting or intimate gathering, the Fairway One Boardroom provides personal privacy and exceptional service. The Fairway One Pre-Function Space is a stylish choice for guests who wish to host a pre-event gathering or an informal reception. The largest space available at Fairway One, this stunning room is ideal for everything from keynote speeches to dinner-and-dance receptions. Overlooking the first fairway of the world-famous Pebble Beach Golf Links, the Fairway One Terrace is an incredible setting for an outdoor reception or meeting break. As part of The Beach & Tennis Club at Pebble Beach, the awe-inspiring Beach Club Dining Room provides spectacular views of Stillwater Cove and the 17th fairway of Pebble Beach Golf Links. This signature setting is perfect for receptions and gala dinners. With its spectacular fireplace, The Club Room is a warm and intimate meeting facility and is part of The Beach & Tennis Club at Pebble Beach. The Pebble Beach Sales Team is ready and able to advise and assist on all aspects of making your meeting or event a success. Let us help in pairing you and your group with the right venues, activities and level of privacy. We look forward to custom tailoring your experience to your exact requirements. The spectacular beauty of our surroundings and the versatile environments of our Resorts offer a variety of wonderful outdoor options for your next meeting or event at Pebble Beach. A meeting at Pebble Beach Resorts goes well beyond the boardroom. Within the Resorts, a variety of unique outdoor venues and activities await you, including equestrian, tennis, hiking trails and, of course, four world-famous golf courses.